There is so much incremental power in doing the small, practical things for customers over tackling the big, exciting experience game changers, according to the CMO of McDonald's. Speaking at the Adobe Digital Marketing Summit in Las Vegas, the fast food restaurant’s marketing chief, Deborah Wahl, said that in the face of digital connectivity and customer expectations, she’s encouraging her team to focus on incremental experience changes that provide scale. McDonald's has been on a digital transformation journey over the past 18 months that has seen the organisation not only bring in new digital capabilities, but also overhaul its business model, from food and menus to service experience, brand and values. Wahl said the introduction of the all-day breakfast at McDonald's was the biggest tangible moment of change for customers and claimed the organisation is being rewarded for that. This included reporting its highest Q4 income ever, and seeing franchisees record the highest levels of cashflows since 2010. On the digital capability front, Wahl said McDonald's made a commitment to start investing in technology and capability in order to move from mass discussion to mass personalisation. Prior to this, McDonald's had almost zero digital one-to-one interaction, no mobile app, only one way to order, and judged response times in terms of hours. “Now, we have 2 million opportunities to respond to customer, a 10 per cent response rate that’s going up, we have an app and 10m downloads in recent months,” she said. “We also have kiosks and response time in minutes. In an age where the line between physical and digital is blurring and blending, Wahl noted the core tenets of the McDonald's brand – quality, service and convenience – remain as relevant as ever. With the McDonald's mobile app, for example, the number one thing customers wanted was offers, so that is what the team focused on, Wahl said. With 26 million customers daily, the focus has to be making changes at scale, she continued. “In digital, there are lots of shiny toys. We had to step back and focus on the idea of timing and balance,” Wahl said. “We were one of first to jump into mobile pay. But we need things that hit scale. The other thing is we have mentions in the social space every 1.5 seconds. What can we do at scale to have that conversation and be in line to responding to it? 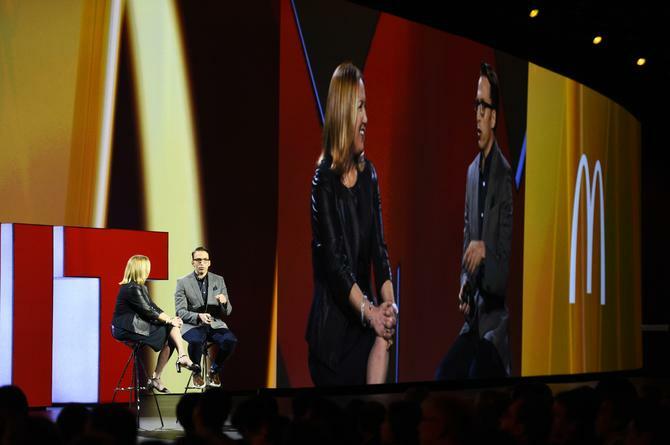 Nadia Cameron travelled to the Adobe Digital Marketing Summit as a guest of Adobe.